Our mobile app gives you the power to deliver any mobile-ready learning content online or offline, on iOS and Android devices. 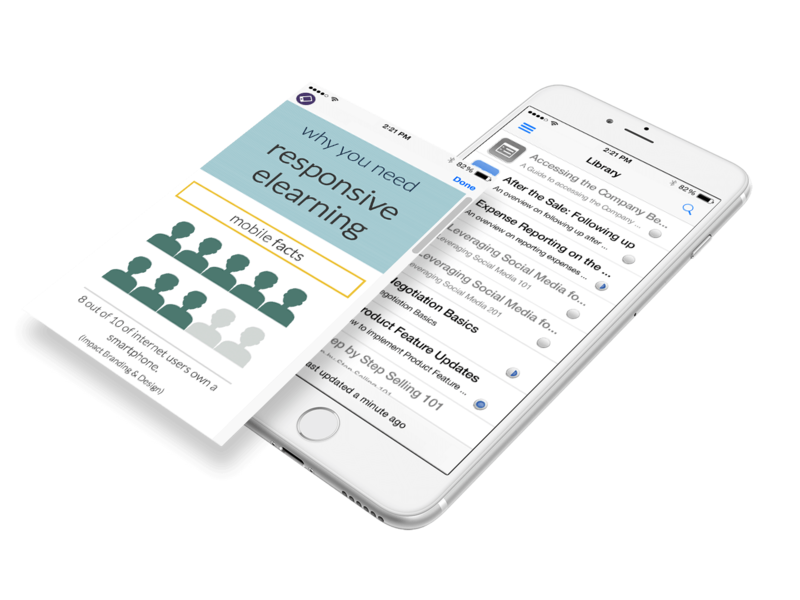 Create content with any authoring tool that can produce mobile-ready content and use the dominKnow mobile app with your LMS or LRS as a standalone mobile solution that supports SCORM 1.2, 2004 and xAPI. Create content from different sources, including dominKnow | ONE, any other mobile-ready authoring tool, Word documents, PDFs, PowerPoints and more. Use our open API to integrate directly with your LMS or LRS. Download content for use offline and once internet is re-established, results are sent back to your LMS. The dominKnow Mobile iOS and Android App is responsive and will adjust to any device size. 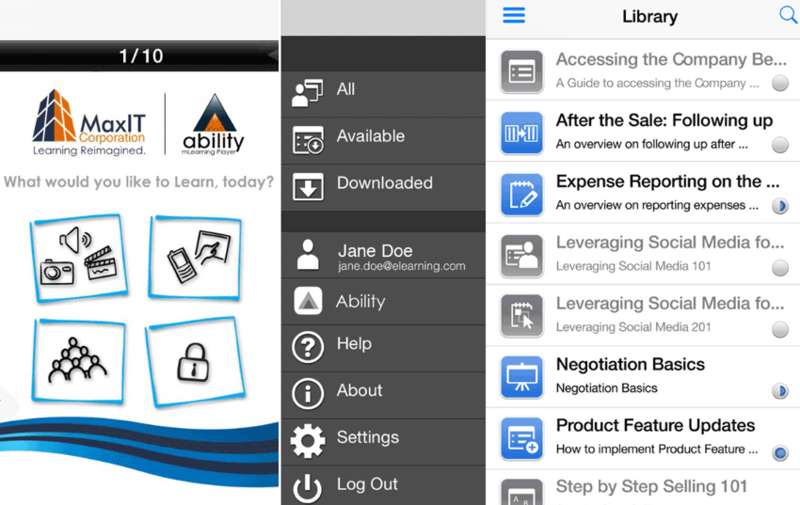 Take the dominKnow mobile app and brand it for your own organizational needs. You get full control of what content your users see and when. Delete content remotely and set the app to auto timeout when not in use, forcing the user to login. Organize content into unique categories, create a unique URL, specify your own course and category icons, and include personal learner information. Use "One Signal" to send users notifications of updates, changes to content, or any learning related information. Tracking information includes course status, score, time in the course and even full test question details when using SCORM 2004. Fill out the form below to get more information about the dominKnow Mobile App.